Well, there is no guarantee that another adult will always be available to accompany me. This type of situation doesn't happen in less populated cities or in rural areas. I know I have a necklace with my medical information on it, somewhere, but I also know the police would have reacted to that just as they did to verbal explanation. But I don't plan on going out here again during bad weather and/or feeling the least bit sick. Well at least yours can run it on a faster frame rate than mine. Mine can reach 40, but only on certain areas. And I have to tone down the draw distance since it also causes the game to slow down. Was this in a city then? Gosh, I heard of police corruption, but this is bad. Police are supposed to be friendly and uphold the law, but I guess that is not the case everywhere you go. You never know if a police officer is corrupt unless you actually run into them. In fact, I just saw a news story yesterday about how the federal government is trying to stop police corruption in Louisiana, but I digress. But the real fault is that store's employees overreacting and becoming paranoid that your kids would steal candy when they would never do so. If the store employees weren't paranoid idiots, then this likely would have never happened. EDIT: What was below this was rambling from me that I have now removed, which I think that if I did leave it there, I would be afraid that you would feel that I was attacking your posting. What you went through was horrible, the store employees were idiots in calling the cops on you unwarranted, and the cops that they did send to you were rude and unhelpful. I was talking about how you said that "New York police are rarely if ever your friends" and the fact that you claimed the people in the hospital waiting room wouldn't help you if you ended up fainting, and thankfully, you didn't. I disagree with those, and I was explaining my position, but I decided just to remove it to prevent any unecessary drama. And unfortunately, people having medical emergencies in waiting rooms whilst being completely ignored has sadly happened before. Mac OSX Mountain Lion has been released today. It's the lowest priced OSX upgrade I have seen. Only $19.99!! Sadly, I don't have $19.99 right now. I shouldn't have tempted fate when I said I would have $20 a few months back. It's going to have to wait until Fall at least. By then I should have all my stuff backed up and ready to perform a clean install of the update. I'm at the Gold Saucer^H^H^H^H^H^H^H^H^H^H^HGenting Highlands right now. Took two days off work and will be here overnight. Why? It's my party and I cry if I want to. Or gamble. I'm going to hold off Mountain Lion. I had a hell of a time getting my Oki C3300N Color Laser printer to work with Lion, had to wait almost 4 months for new drivers because for some reason the old drivers uses Rosetta which is no longer provided with Lion. Also, some apps like NTFS-3G and ClamXAV ceased working and denied me access to some of my USB hard drives. RAMChYLD Wrote: I'm going to hold off Mountain Lion. I had a hell of a time getting my Oki C3300N Color Laser printer to work with Lion, had to wait almost 4 months for new drivers because for some reason the old drivers uses Rosetta which is no longer provided with Lion. Also, some apps like NTFS-3G and ClamXAV ceased working and denied me access to some of my USB hard drives. Now that you mentioned it, I'm downloading it at the time I posted this. And yes, I'm going for a retail-style install rather than a pre-hacked distro like what I did before. cpd2009 Wrote: But the real fault is that store's employees overreacting and becoming paranoid that your kids would steal candy when they would never do so. If the store employees weren't paranoid idiots, then this likely would have never happened. I'd say paranoid employees are major causes of false arrests alright. I mean, I was minding my business with the Clifford ride... I was told by the police after being led to the security room that the employee thinks I'm stalking her. What's the her problem!?! Me, stalking? Seriously? When I'm like way further down the corridor and not paying any attention to anyone, not even looking in the general direction of the shop? 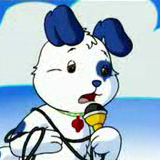 huckleberrypie Wrote: Now that you mentioned it, I'm downloading it at the time I posted this. And yes, I'm going for a retail-style install rather than a pre-hacked distro like what I did before. Retail style install is simple provided you have 1. 100% compatible hardware (I actually tried to use motherboards that use parts that are used in a real Mac when building Kiki), and 2. You only install updates manually and remember to reinstall multibeast and chameleon after installing the updates, but before rebooting. Well, Safari v6 is out, so I updated. It's Lilly's main browser of choice. I wish the Windows version of Safari was as good. Then I wouldn't have to use Google Chrome. Wade would want to see this. My Funny? What's So Funny? This Is Serious! RAMChYLD Wrote: Wade would want to see this. I KNEW IT! 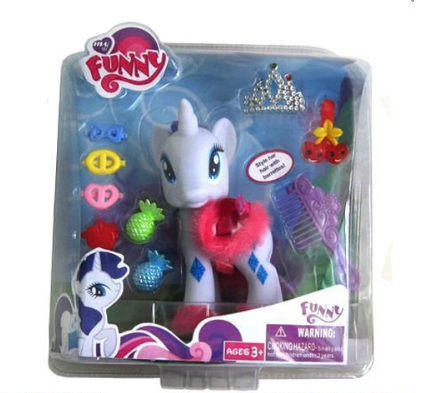 No-shame knockoff MLP:FIM toys do exist!! I have to give them extra credits for calling it "My Funny". I just hope when the annual Rosebud Fair comes along at the end of August, the knockoff toy stand has a blister pack of these. They tend to sell knockoff action figures ranging from Superheroes to Kung Fu Panda. The Superhero set has Batman, the Hulk, Mr Incredible, The Thing, and Spider Man. This was before Marvel was bought by Disney, so at the time, the inclusion of Mr Incredible was strange. But hey, at least Marvel, DC, and Disney have joined together in harmony to fight crime. 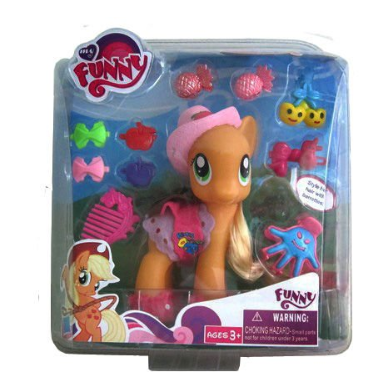 I hope for a blister pack that has all six MLP:FIM characters along with a completely unrelated figure from a completely different franchise. How about "Puppy In My Pocket?" And let's call the entire blister pack set "Your Small Equine?" Or what about "Minuscule Horse?" Better yet, "Nano Equidae?" I got carried away here.